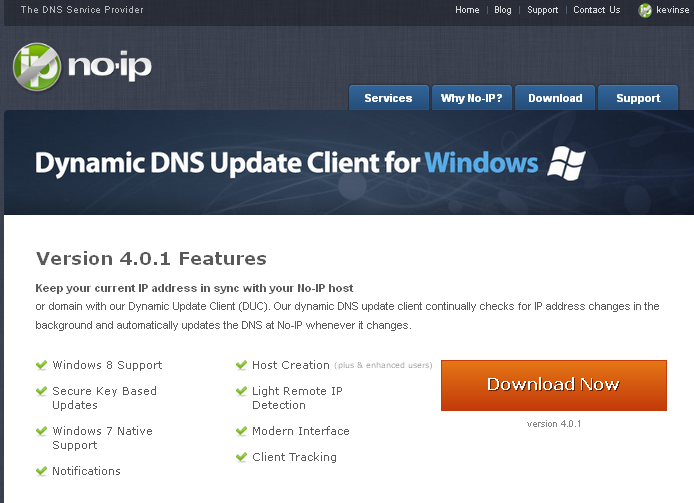 If you and you monitor computers on the internet (for example oversea client computers) and you do not have a static internet IP address, you can setup DDNS and register a free domain to deploy IMonitor EAM server on the internet. 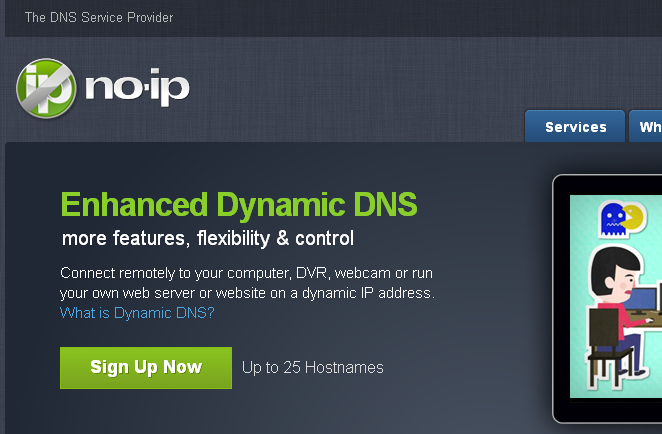 Visit the website at no-ip.com to start your free DNS hostname, click "Sign up now". 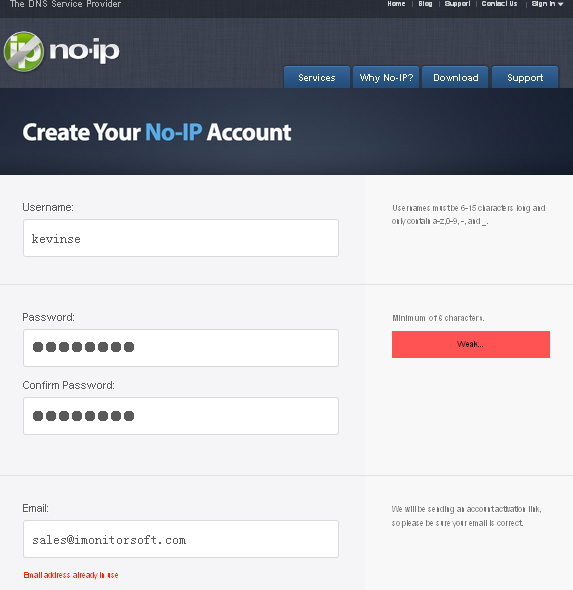 After register, you will receive an email from no-ip.com to activate your email address. Click on the link that is attached to your email to activate the account. Log in with the information that you registered to create your domain name. 4.2 Login with your registered email address and password. 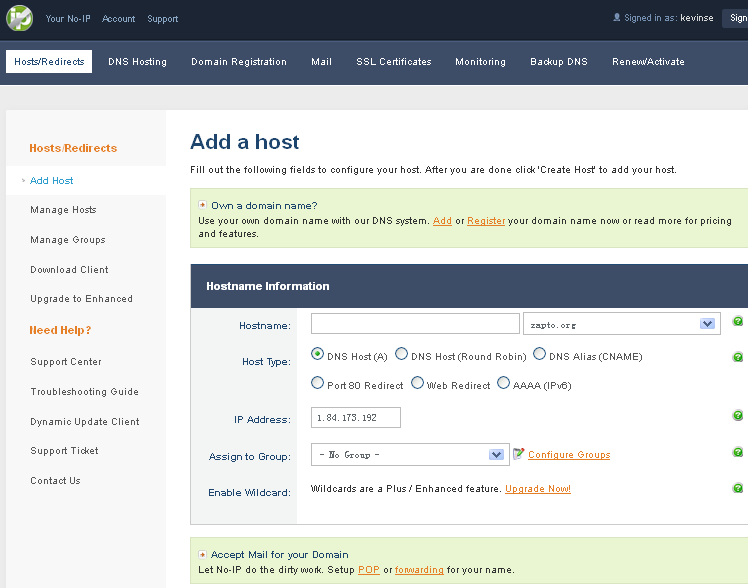 4.3 Click "Edit Host" tick your exsiting host, and save. After checking to see if the DDNS status is successful, you will now need to set up port-forward. In order to port forward, you must have access to your router. For example, the router we are using is Linksys E3200 and the IP address for this particular router is 192.168.1.1. If your using a different router, please check with your provider or check with your routers manufacture website for that information. 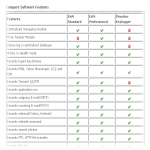 You must add ports forwarding rule into your router, and forword the ports below to the EAM server computer's network IP address, for example our EAM server's ip address is 192.168.1.204.